Are you longing for fresh air and a slower pace on your next vacation? 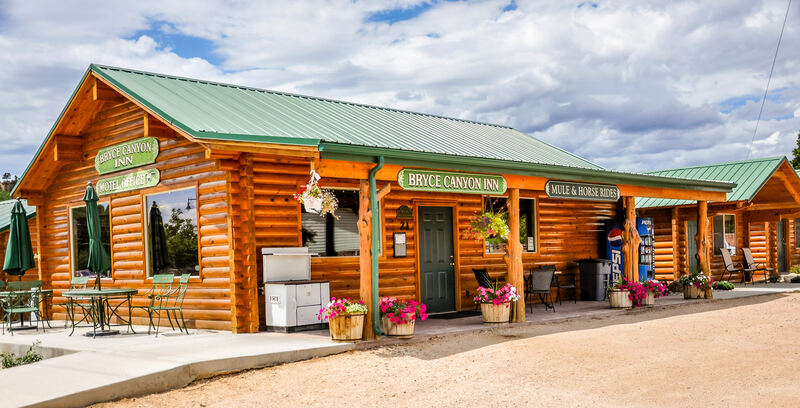 Look no further than a stay at Bryce Canyon Inn, where you will enjoy some of the world’s most superb scenery while staying in your own private cabin. Exploring vast displays of colorful rock formations, fir,spruce and ponderosa pine forests by day, you will be pleased to return to your first-rate accommodations in the evening. We will make every effort to make your stay comfortable, relaxing and memorable. Located just east of Bryce Canyon National Park on scenic Highway 12, just 7 miles past the Bryce Canyon turn-off as you enter Tropic. Bryce Canyon Inn is your best choice for visiting the scenic wonders of southern Utah and northern Arizona. From our location below Bryce Canyon’s collection of hoodoos, spires, columns and arches, you can view both colorful sunrises to the east framed by Powell Point and spectacular sunsets to the west above Bryce Canyon.